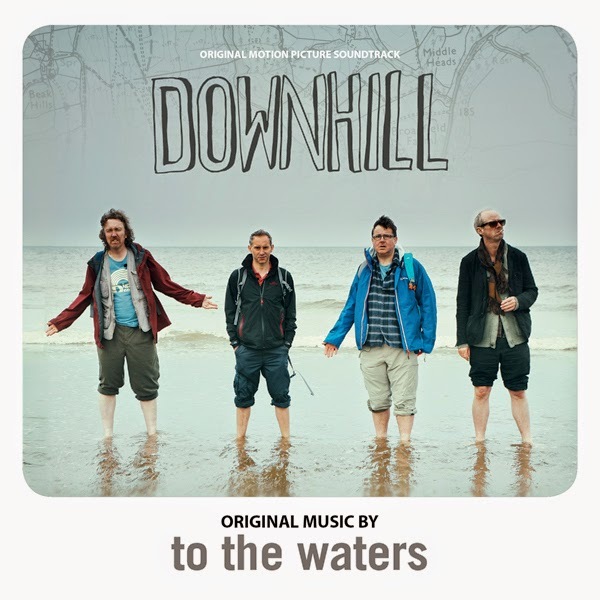 MovieScore Media joins an exciting trip across Britain with Downhill, the most recent mockumentary style comedy spanning a loveable acoustic song score by To the Waters. Co-written and directed by James Rouse, the film tells the story of four friends who venture on a long trip across Britain to relive their golden days while struggling with their mid-life crises. The trip of the four archetypes (the serious Gordon, the mousey Keith, the moody Steve and the trickster Julian) is followed by Gordon’s son, whose recording of the journey lends the whole project a kind of mockumentary feel that recalls the dry wit of The Office - except this film is shot outdoors. The songs and score for Downhill mark a unique collaboration of music across a generations. As Ben Park explains: "Brodie is almost totally self taught; he finds his music and words through experiment, inspiration and practice. I would say I am the same way, but I have much more study and experience behind myself. What we achieve together, I hope, is a beautiful synthesis of musical forms: expressive, sensitive, intuitive and seminal." Featuring a folksy, somewhat innocent atmosphere of indie guitar acoustics, the music by To the Waters is the perfect, touching accompaniment for this bittersweet comedy that also happens to feature a father-and-son team collaborating on a piece of art.